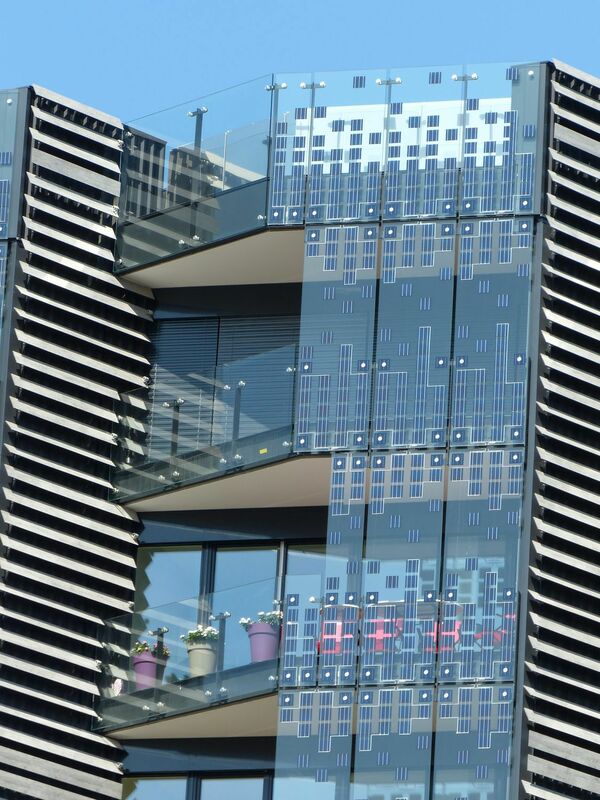 Want a designed glass balustrade ? This railing is made of a 60 x 15 flat post and Fin Monti glass connectors. The post can either be in 220 brushed stainless steel or in painted steel. This system can bear a weight up to 150kg. Many adjustments for an easy installation. This railing has an original design, making your installation unique thanks to the Fin Monti fittings designed by the italian Cesare Monti. 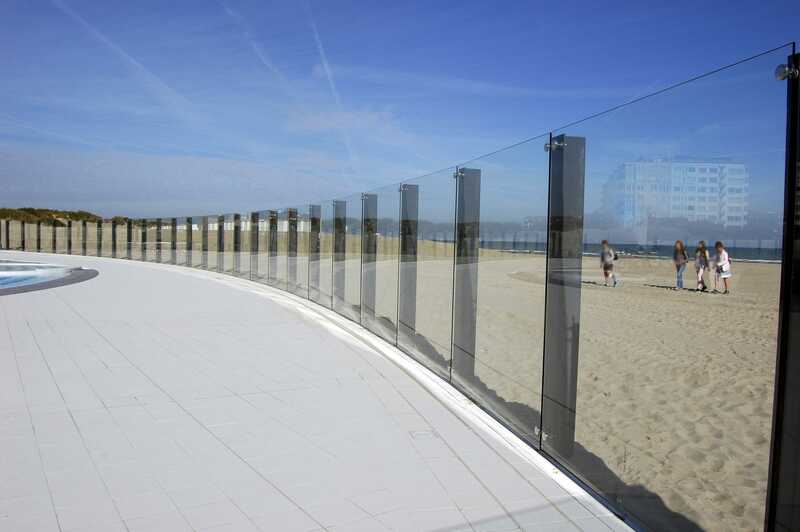 Tests have been achieved and passed to install this railing in public spaces using a 6.6/4 glass thickness (glass panels length from 1000 to 1200 mm) and a 8.8/4 thickness with a glass panel length of 1400 mm. Standard in 304 stainless steel, available in 316 or painted steel for the posts. 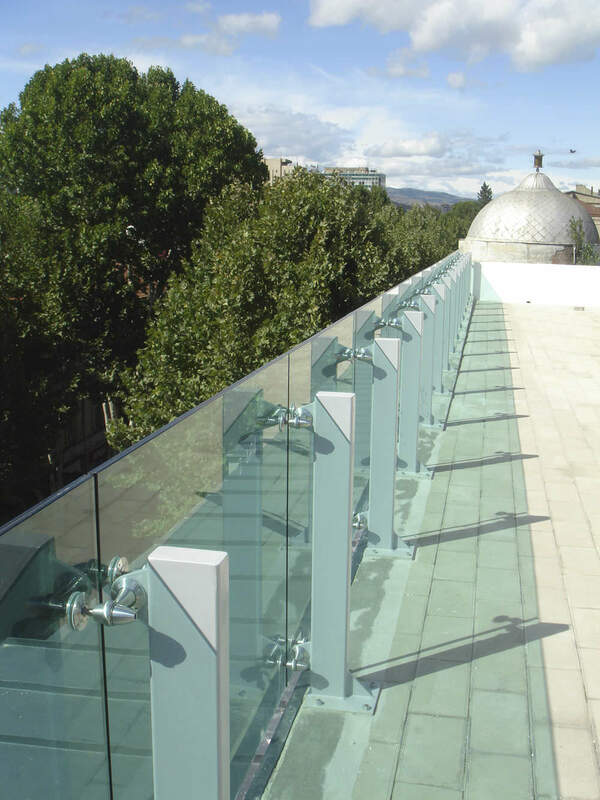 Looking for a solution for the construction of you glass railing without drilling ? Sadev proposes you the proper solution : glass clamps. Please follow the link to read the product page of our glass clamp.